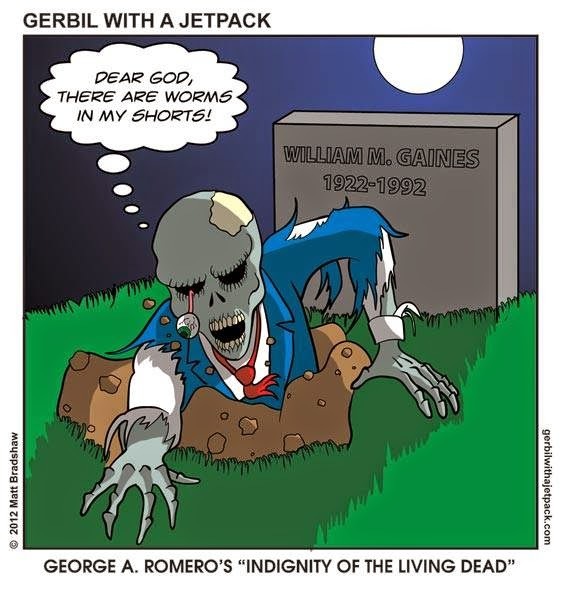 Corporate zombiesYou have probably heard of the corporate athlete by Jim Loehr. The HBR article describes how you can keep yourself fit at corporate level. They give tips like taking breaks, clearing your head, and physical exercises. So we know that there are fit and unfit corporate athletes, but I would like to add another employee type, the corporate zombie. Corporate zombies are the day walkers among the others. The ones who are at work, but are not really at work. You probably know a colleague who acts just like this. You work from nine to quarter before five. The last quarter is dedicated to looking or waiting at the time-clock. You only follow your job description. Everything else is not your concern. You are known for your idea killers. The last training you followed was obliged by your team leader. You like to complain processes and procedures, but hate it to participate when there are initiatives to solve it. You are known for your skepticism with corporate change projects. You best discussions are the gossip sessions in the coffee corner. Before giving your opinion, you first look to your left and right to check if anyone else is listening. Do you recognize at lease five of these characteristics? In that case it’s time for a change! Are you sure doing the right job? Check your talents, find your passion. Find purpose in your job. Even if you don’t like what you are doing right now. Evaluate your day. Write down one thing that went good. Ask more autonomy to fill in your day job. Unlock your creativity. Participate in creativity exercises or games. Engage in after-work events. Get to know your colleagues on another level. Avoid using idea killers (eg. like “yes, but…”), but see through the idea and discover its possibilities. Find a mentor, explain your situation and plan a weekly meeting where you discuss the passed week.